Meriwether is a luxury jewelry business dealing in estate and contemporary jewelry in San Francisco. 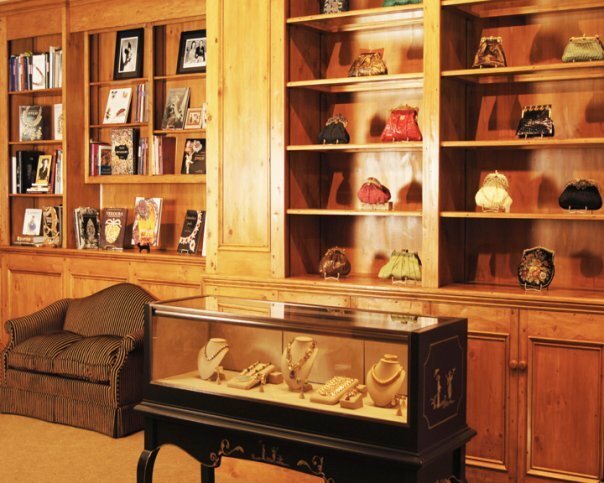 Since making the move from a by-appointment business to opening a boutique in 2006, Meriwether has regularly inventoried pieces from the Victorian, Art Deco and Retro periods as well as signed pieces from Tiffany, Cartier, Van Cleef and Arpels, David Webb, Marina B., Boucheron, Henry Dunay, Bulgari and others. Additionally, in 2010 Meriwether launched RETRO REDUX, an in-house line inspired by pieces from the Retro period. Meriwether also designs and oversees the fabrication of custom pieces for clients from all over the United States. Our jewelry has appeared in a number of publications including Town & Country, The Robb Report, C Magazine, San Francisco Magazine, The San Francisco Chronicle and Modern Bride. Owner Meriwether McGettigan graduated from the Gemological Institute of America in 1981. Having completed courses for certification in Diamond Grading and Evaluation, Colored Stone Evaluation and Identification, and Design, Meriwether was certified as a Graduate Gemologist. She is an accredited member of the International Society of Appraisers and a member in good standing of the Jewelers Board of Trade. Meriwether frequently lectures to jewelry industry groups and other clubs and societies on Retro period jewelry, individual jewelry designers and style setters of the 20th century. She has been a guest lecturer at the Antique Jewelry & Art Conference in New York in 2009 and 2012, and the 2017Antique Jewelry Symposium in New York City.